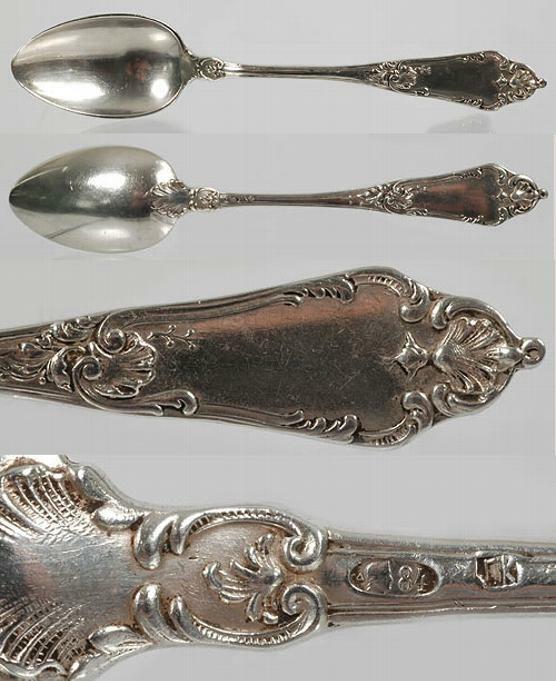 Russian silver spoon by Gustav Klingert, Moscow, 1908-1917. The elegant handle is worked in the Louis XV style with a scroll and shell design. Marked with the 84 silver standard. Length: 5 5/8".